WELCOME TO CHANDLER DANCE CENTER'S ONLINE REGISTRATION Please provide the information below and click SUBMIT when complete. Please contact us at 480-899-6333 if you have any questions. I have chosen my child to participate in dance/tumble instruction given by Chandler Dance Center. I acknowledge that I understand the nature of the activities my child will be participating in and that my child is in the proper physical conditions and capable of participating in the related activities, understanding that Chandler Dance Center is not in any way responsible for making such determination. I understand and agree on behalf of myself and my child to release, hold harmless and discharge Chandler Dance Center from all claims, costs, liabilities, expenses or judgments, including attorneys' fees and court costs for any occurrences in connection with any dance/tumble instruction. I assume all risks to my child in connection with any instruction and further release Chandler Dance Center and its owners and employees from liability for any injury sustained by my child while he or she is enrolled in any dance/tumble instructions program, including all risks reasonably connected with such activity whether foreseen or unforeseen. 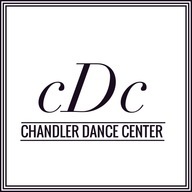 I understand that Chandler Dance Center is not responsible for my child or other children under my supervision who are left unsupervised in the the common areas and areas surrounding the dance studio and that Chandler Dance Center will only be supervising my child when he or she is participation in scheduled dance/tumble activities, programs or instruction. I understand that Chandler Dance Center in not responsible for personal property list, damaged or stolen while I or my child is at or on Chandler Dance Center's property. I understand and agree that it is my responsibility to maintain my own accident and health insurance converge that provides adequate coverage for myself and my child participating in Chandler Dance Center activities and that Chandler Dance Center does not provide accident or health insurance for those participating in its instruction, activities or programs.